The History of St John’s begins in 1129 when Roger de Clinton was appointed Bishop of Lichfield. As well as building a cathedral, he built a defensive ditch and gates (or barrs) around the southern part of the city, and enrolled soldiers to guard it. 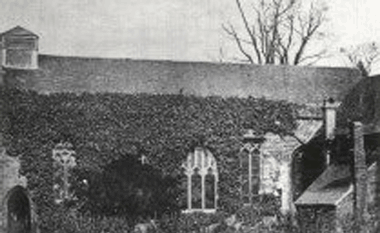 Pilgrims and travellers who arrived late at night would not have been allowed into the city, and so he built a priory just outside Culstubbe Gate. It was completed in 1135 and thus there came into being the Hospital of St. John Baptist Without the Barrs of the City of Lichfield. Although the Shrine continued to attract pilgrims, the need for a hostel outside the city gates had disappeared by the middle of the fifteenth century. By 1458 St John’s has ceased to be a corporate institution comprising a prior and had been declared by the Bishop to be a Benefice which could be held by a secular clerk. 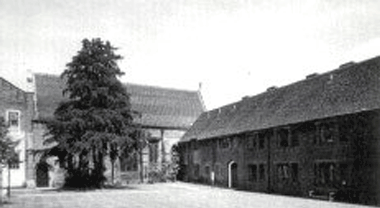 In 1495 Bishop William Smythe re-founded the Priory as a hospital for aged men, and as a free grammar school. To accommodate this, the hall was enlarged into the three-storey house of the Master. For the next five centuries St John’s continued its work of caring for older people, and still does so today. When Henry VIII dissolved the monasteries, St John’s remained untouched thanks to Bishop Smythe’s wise changes. More changes came in 1720 when Edward Maynard modernised the Master’s House, turning it from a Tudor building to a Georgian one. During the first quarter of the twentieth century, St John’s continued in the way it had for the last four centuries, until in 1927 there was a radical change. The administration of St John’s was transferred from the Master to a body of Trustees. Under this scheme, great improvements have been made. Accommodation has been maintained to a high standard and further building has increased capacity for more residents. Recent additions are the stunning stained glass by John Piper installed in the east window in 1984 and sculpture “Noah and the Dove” by Simon Manby, commissioned for the Courtyard in 2006.